We're Celebrating 30 Years Serving the Twin Cities Metro Area - Join Us in 2017! 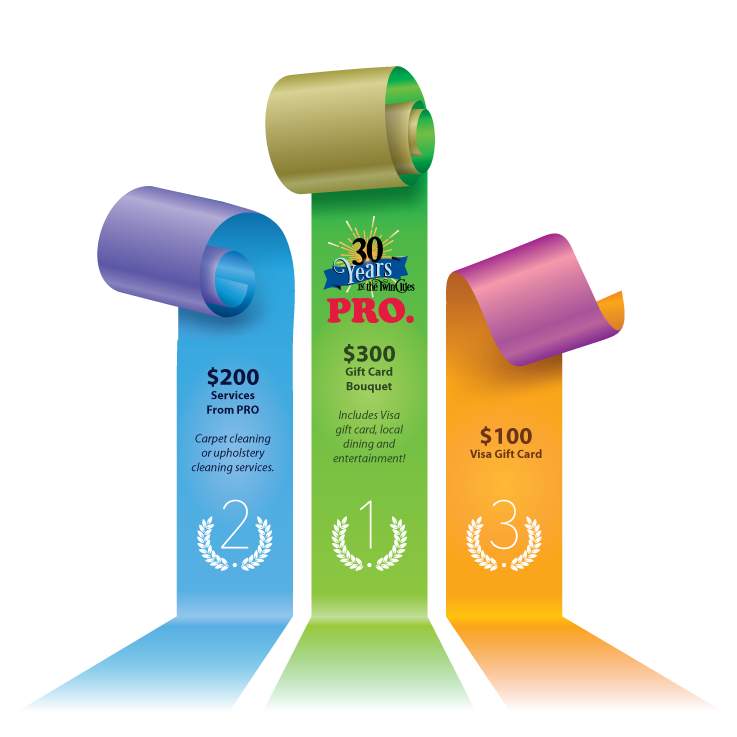 Our 30-Year Anniversary 1st, 2nd and 3rd Place Prize Winners have been announced! 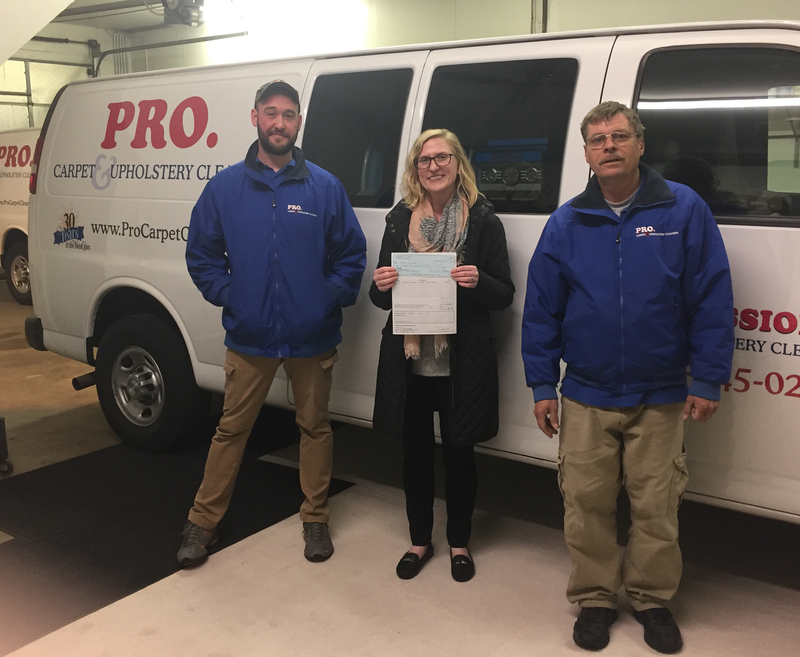 Congratulations to our customers: Tara M. of Inver Grove Heights, Ann B. of Minnetonka and David R. & Anne H. of Saint Paul! 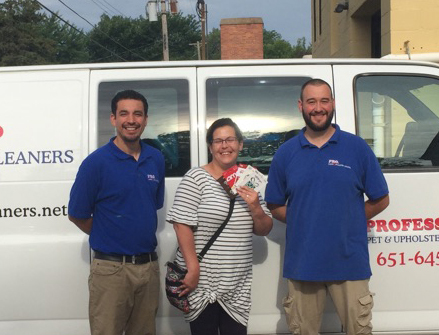 Here we are with one of our 30th Anniversary Drawing Winners! Thanks to all of our many happy customers over the years in Minneapolis - Saint Paul, we're able to celebrate this anniversary! See the prizes - click here for details. Check back often, follow us on socials or join our mailing list to get the latest offers and news! Thank you for being our customer! 30th Anniversary 1st Place Winner! Here we are with our 30th Anniversary Drawing 1st Place Winner! Thanks to all of our many happy customers over the years in Minneapolis - Saint Paul, we're able to celebrate this anniversary! See the prizes - click here for details. Thank you for being our customer! Thanks to all of our fabulous customers in the Minneapolis - Saint Paul MN area, we'll be celebrating 30 Years serving the Twin Cities all throughout 2017! Here we are with our Golden Ticket Winner, Annika Dommer! Thanks to all of our many happy customers over the years in Minneapolis - Saint Paul, we're able to celebrate this anniversary! See the prizes - click here for details. Check back often, follow us on socials or join our mailing list to get the latest offers and news! Thank you for being our customer! *Additional rules may apply. 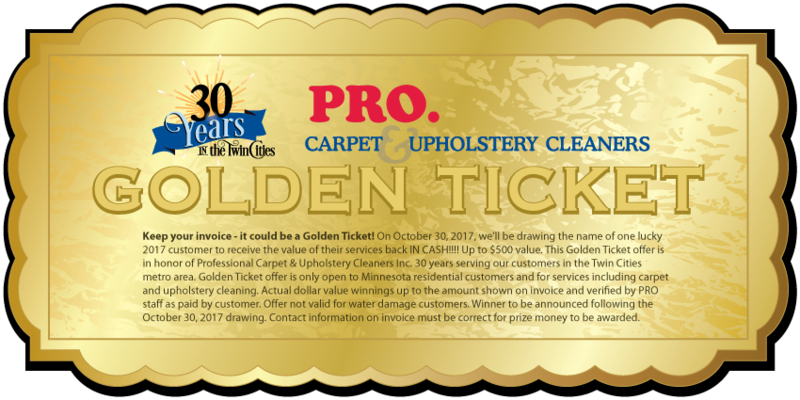 Contact Professional Carpet & Upholstery Cleaners Inc. for details. home page | get an estimate | write us a review! We're A+ Rated! 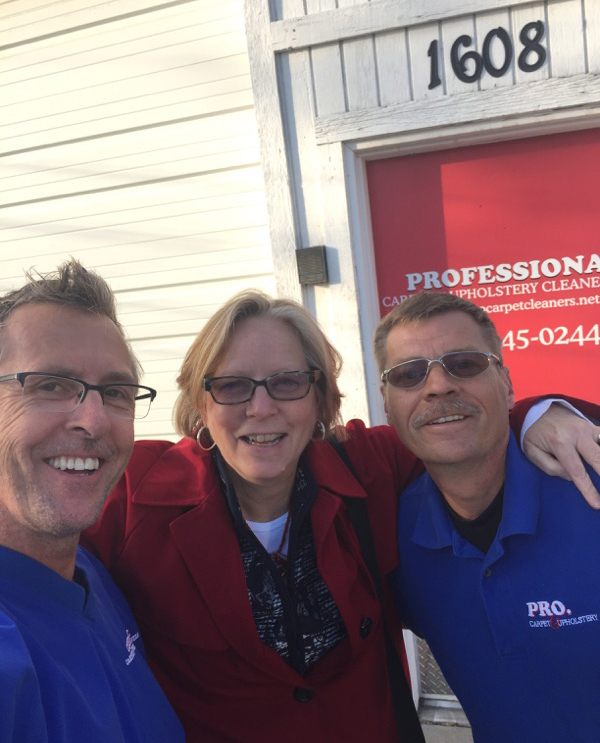 Ask about our current customer satisfaction ratings and Professional Service Guarantee!